My Mom and I have birthdays within about a week of eachother and this year we opted for a mini getaway as our gifts to one another. Gifts like spa days together, concerts, getaways and things to do are amazing gifts of quality time and thus they are my favorite gifts to give.We knew we wanted to go somewhere where we felt like we were really away, but we didn’t want to hop on a plane or drive for several hours. So, Santa Barbara was our place! We checked into our hotel and we were so happy with it. Only going for one night really eliminated a lot of our hotel options as so many require a 2 night minimum. We knew we wanted to be on state street, stay for one night, have a jacuzzi and not spend a fortune. This hotel checked all those boxes and more! Complete with that Santa Barbara charm and gorgeous tile detail, this is the nicest Best Western I have ever seen.. Our room had a patio that opened up to one of the 2 pools on the grounds, nice bathrobes, a great coffee machine and they even brought us champagne for our bdays! It was just a quick Uber ride to where we wanted to be on State Street AND they are very dog friendly. We will definitely be back. My main objective for going to Santa Barbara was to get my Mom on the Urban Wine Trail. My favorite thing about the Urban Wine Trail is you can visit 1 0r 20 tasting rooms at your own pace. You could go to a couple one day and go back for more the next day without having to commit to a full on day long excursion like so many of the wine tours are. I typically start at Oreana on Anacapa St. and make about 4 stops on my way down Anacapa St. before ending up at Deep Sea tasting room located on the pier. Premium seating for sunset viewing. 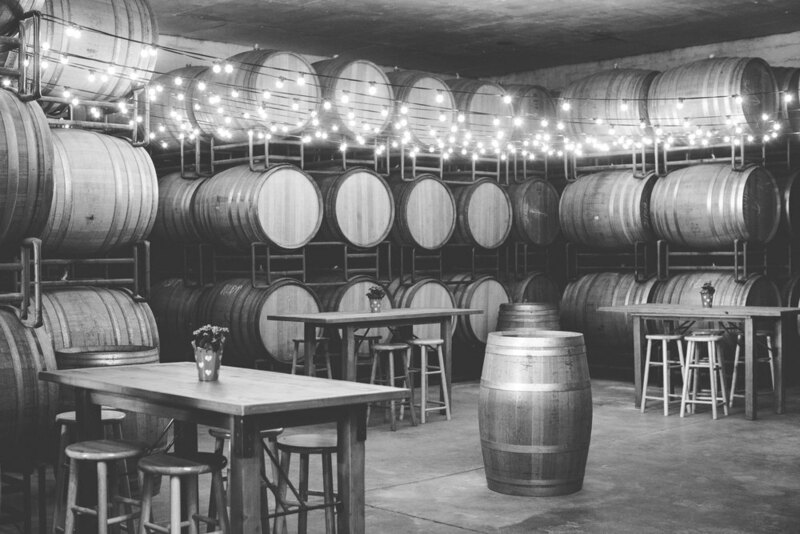 Each stop has it’s own unique decor and with over 20 tastings rooms on the Urban Wine Trail you are sure to find something for everyone. After sunset, we went back to the room, jumped in our robes, enjoyed our Patio and a bottle of wine we purchased on the trail. That night My Mom was craving French Food and she found the yummiest and cutest French restaurant in Montecito called Stella Mare’s. The restaurant is set in a house that was built in 1872 and with the old staircases and fires burning, you feel like you stepped into someone’s home for dinner. It was just a quick Uber ride from our hotel and we loved our meal of escargot, endive salad and steak bordelaise. The next morning we had coffee in bed then hopped in the car and drove down highway 1. It was a beautiful day and we wanted to take the scenic ride home and stop for photos along the way. 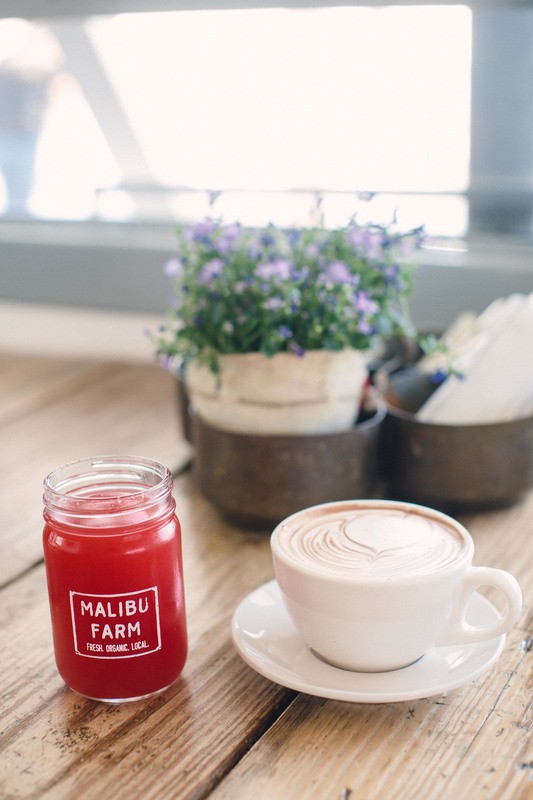 I knew I wanted to stop at the “insta-famous” Malibu Farm Cafe on the Malibu Pier for a late breakfast. This place is just as yummy as it is visually appealing. We both had the swedish pancakes and loved every bite of our meal while we watched the waves and admired every detail that makes Malibu Farm Cafe so lovable. It was the perfect 24 hour trip and I can’t wait to do it again!